Takes 17 minutes to read. Too busy right now? Save it and read it later! 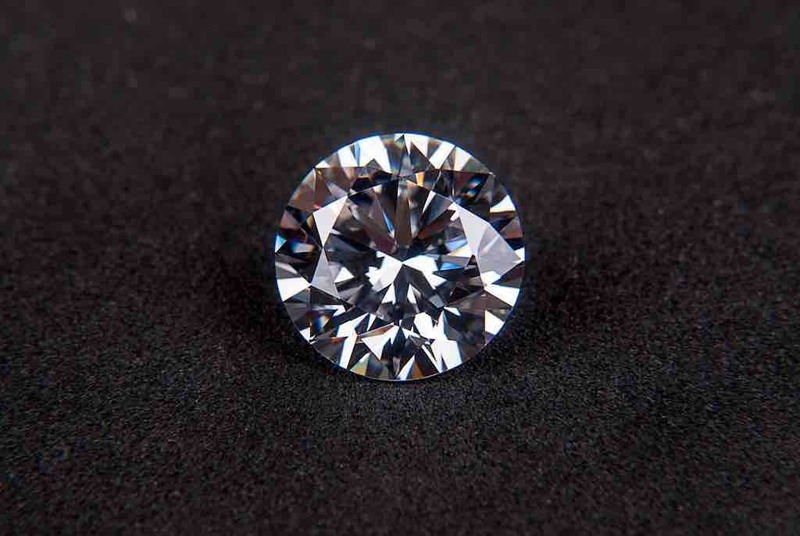 Did you know that a 1% increase in price can translate to an 11% increase in operating profits? Value-based pricing is an effective way to capture value you’re likely giving away for free. Read on for a three-step method to get started with value-pricing. Yes, your eyes didn’t trick you. A 1% increase in prices can lead to considerable improvements in profits and that’s what research tells us (see footnote 1). There’s every reason to take pricing seriously. Not only does good pricing, and value-based pricing, lead to more profit, it will also help you better serve your customers. Making them more satisfied in the process. Understand what matters to your clients. Identify the problems you’re solving for your clients and why that is valuable to them. Successfully communicate the value you provide in a way your clients cannot resist. This is an in-depth guide and we will dig deep into each of the above. It takes on average 15-20 minutes to read. But I believe it’s a wise investment of your time and I hope you’ll find several useful ideas. No pain, no gain, right? So let’s dive in! But it also had several drawbacks, one being that we were not financially incentivized to find more effective ways of doing things. After all, we wanted to sell hours. Secondly, all clients paid the same price regardless of the actual gain they had. So a premium client like IKEA paid the same price as a small publishing company for the same functionality. Another drawback of this cost-based pricing model was that we couldn’t create a results-only workplace (also known as ROWE). A results-only workplace or work environment is a workplace where results are valued over hours worked or spent in the office. In a ROWE, team members own their time. If they finish work earlier than planned, they’re free to go on leave. That wasn’t possible for us. Our commitment t0 hourly billing meant that people had to sit at their desks and write code a fixed number of hours every day, regardless of the actual results. Finally, we were obviously leaving money on the table out of convenience. Cost-plus pricing is easy. It’s a relatively small challenge to turn a small profit using cost-plus price on a hot market where there’s no shortage of potential clients. All you have to do is to do a good job and bill all your time. Value-based pricing means more work on customer relations, marketing, and pricing but it also yields considerably higher rewards. That was an insight I hadn’t had yet back then and something I formed in the years that followed. My interest in value-based pricing led me to read voraciously about it (see the sidebar for recommended books). I also started a meetup group about value-based pricing and blogged about it to help more people realize the power of value-based pricing. Make your offering irresistible to new clients you pitch by packaging it in a way that makes the price seem fair if not even fantastic. Chances are you’re currently doing cost-plus pricing. You calculate your costs and then add a margin, say 20%. It’s easy, it works and you can bill as much as you need to cover costs. But you’ll never capture what the customer is actually willing to pay. Value-based pricing helps you do that. That what you do for the client creates perceived value. That in a business setting, that value can be specified, measured or estimated in terms of money (earnings, savings or reduced risk). That you and the client can reach agreement on that value through a price. The keyword here is perceived. The irony of it all is that whether you create value or not is secondary to how the buyer perceives it. You may create fantastic value but communicate it poorly and therefore fail to price it effectively. Or you may deliver average value, objectively compared to competitors, but manage to keep the customer satisfied and gladly paying premiums. Either way, the customer is the only judge of value that matters. Whatever strategy you pick, be aware that there are value-based pricing strategies that are more difficult. In this article, I’ll cover the value-based pricing strategy I recommend to most agencies and consultants. It’s the one that I think it’s easiest to succeed with. Value-based pricing doesn’t mean you can always charge more than when using cost-plus pricing. There are clients for whom you cannot create enough value to motivate more than a cost-plus price. Those are clients you should try to avoid so you can focus on the ones for whom you can use value-based pricing and create exceptional value, and price it. 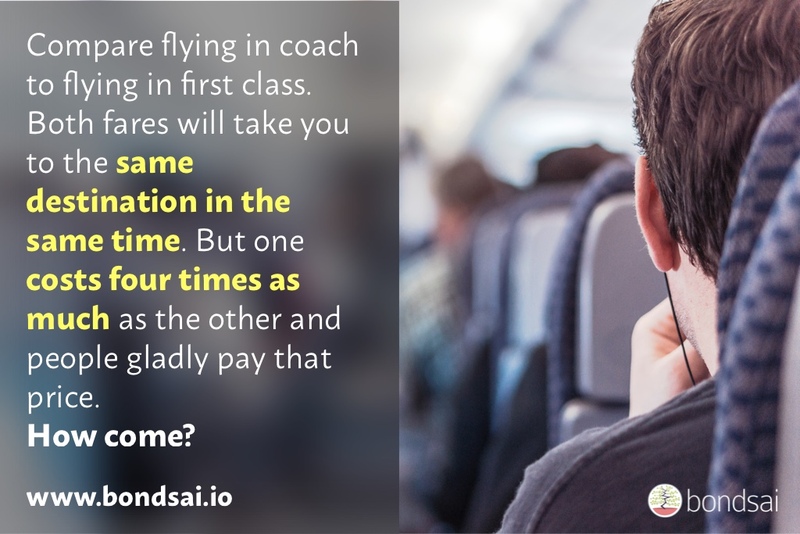 Compare flying in coach class to flying in first class. Both fares will take you to the same destination in the same time. But one costs four times as much as the other and people gladly pay that price. How come? An important thing to remember is that what you deliver isn’t nearly as important as how you deliver it. When you use value-based pricing everything counts, from first customer interaction to how you eventually part ways with the client. Imagine the experience enjoyed a five-star hotel compared to a motel. They’re essentially the same, yet so different. Or compare flying in coach to flying in first class. Both fares will take you to the same place in the same time frame. But one costs four times as much as the other and people gladly pay that price. How come? What is your customers’ definition of value? Before we begin putting value-based pricing into practice, let’s turn philosophical for a minute and ask ourselves: what is value? If you think about it, you will realize that “value” isn’t something that is easy to nail down and its meaning is highly subjective. This is a significant insight since freelancers and agencies often make the mistake to assume that their idea of value is the same as the of the client. That’s almost never the case. The client practically never cares how much effort or time you spent making, designing, building or testing something. The client operates with a different frame of mind. In their world, other things that are considered valuable. Your deliverables are usually a means to an end. So before you can start selling, pitching and using value-based pricing you have to put yourself in your client’s shoes and understand their idea of “value.” This understanding will help you see the value that you can bring your customers with what you do now. It will also help you visualize what you could potentially add to your offering to create even more value and price accordingly. You may not be used to clarifying the value of your services and products, and that’s fine. Luckily there are useful methods and frameworks to help you. A useful way to think about a client’s viewpoint is to consider their gains, pains, and jobs. This is an idea I’ve borrowed from a book titled Value Proposition Design. 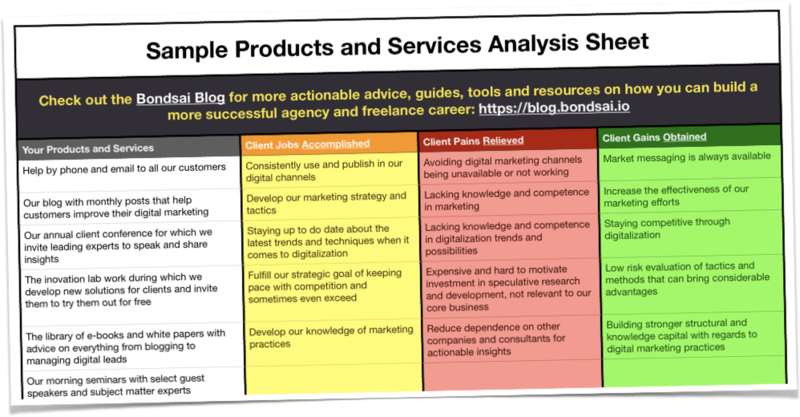 It provides a structured method for uncovering client goals, pains and gains and creating a market and product strategy based on that. 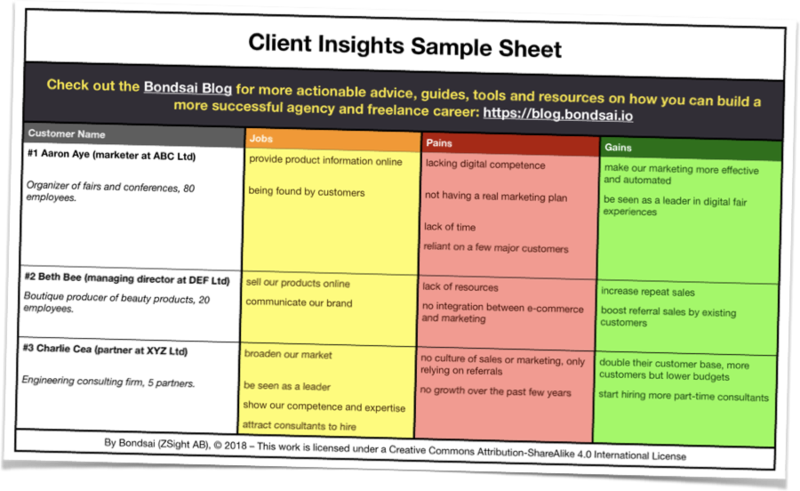 We at Zingsight are big fans of this method and use it ourselves to structure client insights. We’ll be using methods from this book to help us understand our client’s concept of value. Did you get the part about the client profile? This is key to understanding what value means to your client. We’re going to use this model to understand your clients better. Client research is the source of the insights that lead to the best value-based pricing. 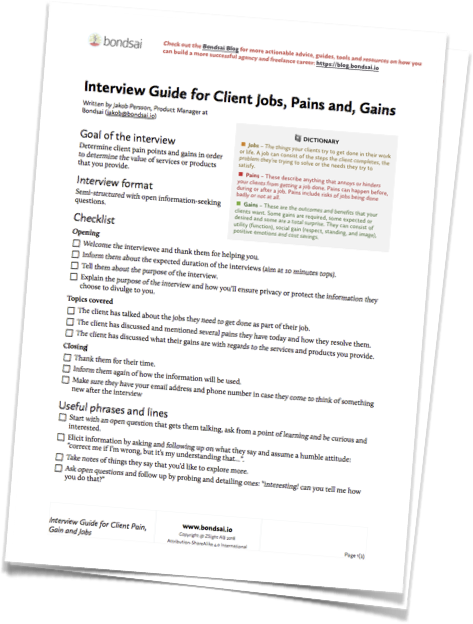 So we’re going to use the pain-gain-job framework to plan a few client interviews. Yes, you will be talking to your clients today. If you do not have existing clients, call those who could be clients. Family and friends (that buy services like those you provide) work if you have no other option. Plan the interview: Interviewing requires a bit of planning so write down questions beforehand and list the things you wish to find out. Our questions will revolve around gain, pain, and jobs. Make a checklist and mark the items as you talk to see what you’ve learned in the interview. I’ve prepared a sample interview sheet you can use with questions and areas to check off. Ask open questions: Try to ask open questions starting with “Why?”, “What?” and “How?”. So rather than asking “is email marketing important to you?”, try: “what are the best ways to market your company online according to you?” and listen to what they say. Follow-up with questions to dig deeper. Empathize with the client: For example, if you build blogs that are used by the client for marketing, try to understand why those are useful to the client and what that’s worth to them. This will allow you to estimate the return-on-investment (ROI) for the client and calculate a price based on that. Let’s pretend Zingsight is a web agency and we’re making these calls. A phone call can start with “Hello, this is Jakob from Zingsight. I’m calling our clients regularly to make sure everything we built for them works well and to see if they have any questions. Is there anything you need help with?”. Then segue into asking about goals with a phrase like “What are your priorities this year? How do websites and blogs play into that?”. Time to turn this up a notch. Let’s see if we can learn something about financial value too. Try asking a question like: “So this new product line will be exclusively marketed through these blogs?” and following up with “What are your hopes for this new line regarding sales?” making it a natural part of the ongoing conversation. You need to use your judgment here and know what you can comfortably ask. Not all clients are that comfortable discussing often sensitive numbers and projections. However many salespeople tend to back off too soon out of fear to seem pushy. As long as you’re genuinely interested in helping and it shows, people will take notice and open up. Finally, see if the client has any frustrations: “What is currently stopping you from accomplishing this?” or “What would you like do to do but cannot? Why?”. 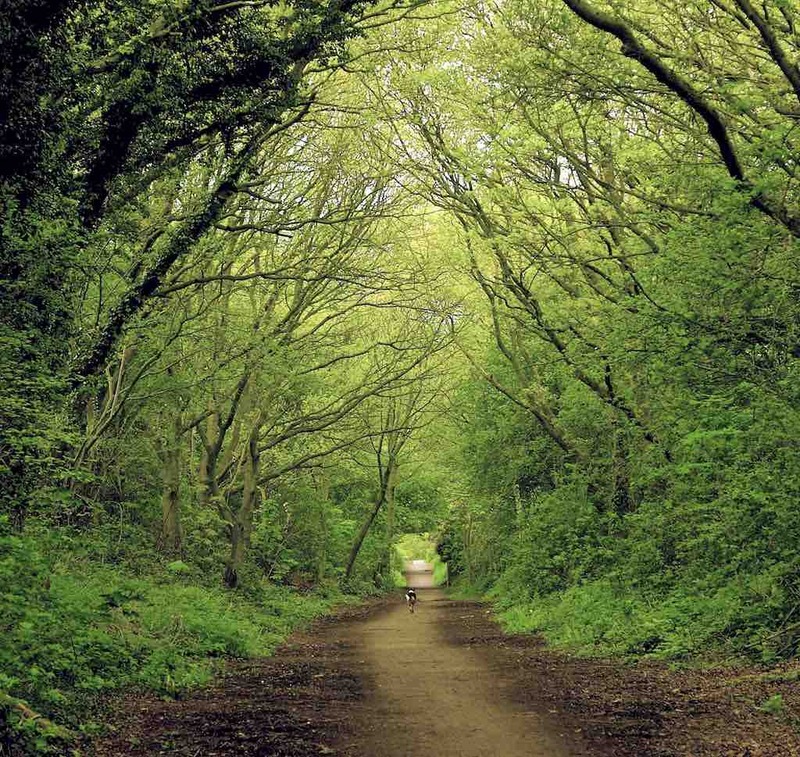 These questions will uncover roadblocks and things you may be able to fix. Take this opportunity to see if there are ways you can serve this unmet needs. Perhaps you know someone who can or a potential solution. Be generous with genuine advice. At the end of the call, you might have written down notes with numbers for their marketing budget, sales volume, project revenue. You should also have lists of goals, jobs-to-be-done, gains, and pains. These notes will also be of value when it comes to marketing to clients like the one you interviewed and likely include ideas for blog posts and other content. You’ve probably also made this client like you even more just by showing genuine interest. Get on it right away. Pick up the phone and call three clients you’ve worked with recently. Have your notepad ready. Remember to ask once and then shut up and listen. The jobs your clients need doing. The gains get client gets from your services. These are the raw materials for your value-based pricing strategy. I suggest compiling this in a spreadsheet with a column for “jobs,” “pains” and “gains” respectively. Type one thing per row. Add more rows as needed and put all the results on a single sheet (tab). This sheet now lists the problems you solve for clients and the things you help them do. Reducing those pains, helping accomplish those jobs and creating those gains is where the value is and this is the value you can capture with value-based pricing. With this knowledge and these insights in hand you now have an idea of what you can do for your clients. You are probably already addressing some needs, but some may go unmet. Add another sheet to your spreadsheet and add a column called “products and services” and list all the things your company does. There’s a template for this sheet further down this post you can download. We will not consider market segments (to keep it simple for now) so list all of the things you do, regardless of client type or business. Include things you usually don’t charge for or don’t consider services in themselves. Almost all agencies provide value to clients without being aware of it, and there’s often much potential revenue in finding ways to charge for those. Providing timely email and phone support without requiring a service level agreement or offered tiered support (different channels and response time). Providing valuable advice and insights through blogs and newsletters. I don’t suggest you start charging for this but at least consider its value in how you sell your services. Offering related technical help such as explaining how to use software or helping clients resolve computer or technology problems. Many small agencies and freelancers act as IT support, an essential function in all companies which is critical for operations. Connecting the clients to experts with valuable insights or competences through events, email or social networking such as Linkedin. This is something many take for granted, but not everyone is in a position to do this for their clients. Be aware of its value! Doing exploratory work “on spec” without a promise of compensation. Many agencies do things to show a proactive mindset. This can be a highly persuasive way to win work for existing clients, but it’s a risk and a gamble as it may not lead to actual paid work. Make an impact on our business, don’t just be visible. Spend more time helping us think, and help us develop strategies. Lead our thinking. Tell us what our business is going to look like five or ten years from now. Jump on any new pieces of information we have so you can stay up to date on what’s going on in our business. Use our data to give us an extra level of analysis. Ask for it; don’t wait for us to give it to you. Schedule some offsite meetings together. Join us for brainstorming sessions about our business. Make an extra effort to understand how our business works: sit in on our meetings. Help us see how we compare to others, both within and outside our industry. Tell me why our competitors are doing what they’re doing. Discuss with us other things we should be doing; we welcome any and all ideas! Chances are you’re already doing some of this. If you do, add it to the spreadsheet. Edit the second column and at the top type “Jobs Accomplished” and write down the jobs that you help the client accomplish through your services or products. Label the third column “Pains Relieved,” and write at least a pain that is resolved by that service or product. This could be frustrations that you help relieve. It could also be repetitive, boring work that the client can avoid thanks to your services. Your services might also help the client reduce risk. Edit the fourth column and give it the title “Gains Obtained.” In this one list, the gains created from work in the first column. Note: Not all services or products create gain, reduce pain or help accomplish jobs. Some services and products do just one of the three. So don’t worry if you cannot think of jobs, gain, and pain for every service/product listed. A spreadsheet a sheet with client insights. A spreadsheet with what services you provide with pain-relief, gain creation and job accomplishment. 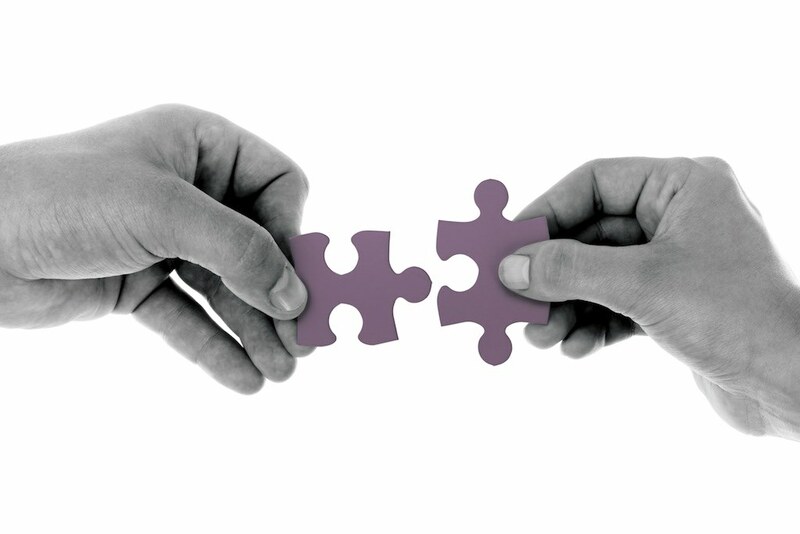 The next step is to connect the dots by listing your services and pricing the pain reduction, gain creation and job accomplishment. For that, we’re going to introduce tiered options with fixed prices as a way to price value. While this may have limited use for the existing clients you just interviewed, it’s highly valuable when you pitch new clients. Many buyers have the same needs why the insights you gained are most likely generic. 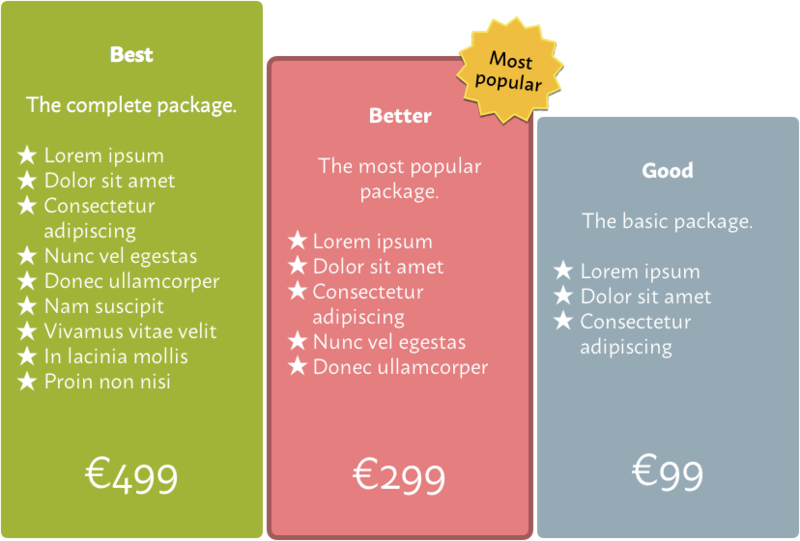 You can read more about tiered pricing in our in-depth guide. If you’ve ever been choosing between the gold or silver package, you know this one. Everything from hosting to hotels uses this way to price what they’re offering. It works for professional services too. The thinking when we use value-based pricing is a bit different from what most professionals are used to when pricing. That’s why we’ll start with a hypothetical generic package which you can then adapt for specific proposals and tenders. Many of the pains and gains you identified may not apply to all clients and all the work you undertake. The point here is to put the client first and foremost when we set a price. You are pricing the client, after all. The simplest way of doing this is to create a standard offer that most of your clients would buy. You probably already know what would be included based on what most of your clients need and want. This is the “silver” package. You can call it anything that would work as the middle option in a set of three. Now make two more versions of it. Start with the larger “gold” version for the client with a large budget and then a “bronze” version for the client on a small budget. It lets you include all the services you usually include but each can be scaled down or up, or included only for specific tiers. For example, a workshop to create a strategy could be more or less comprehensive depending on whether it’s included in the “gold” or “silver” tier. 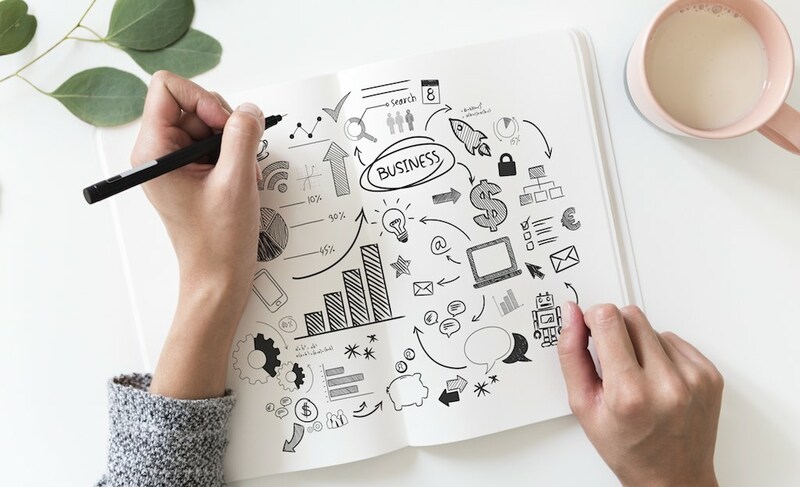 It allows you to capitalize on all the things you wrote in the list “products and services” above, including things you do for free as part of your regular marketing work. By including the free services in the options, you confirm that they’re valuable and you can suddenly price them by letting them contribute to the total price. It’s almost magical. You can charge for insights provided through specific channels such as an exclusive newsletter and make it unique for clients that choose the “gold” tier. This will seem like a bonus, and the client will likely value the content even higher since it’s not seen as free. This will work even if the newsletter only has one or two exclusive pieces of content and the rest of it being republished from your free blog. 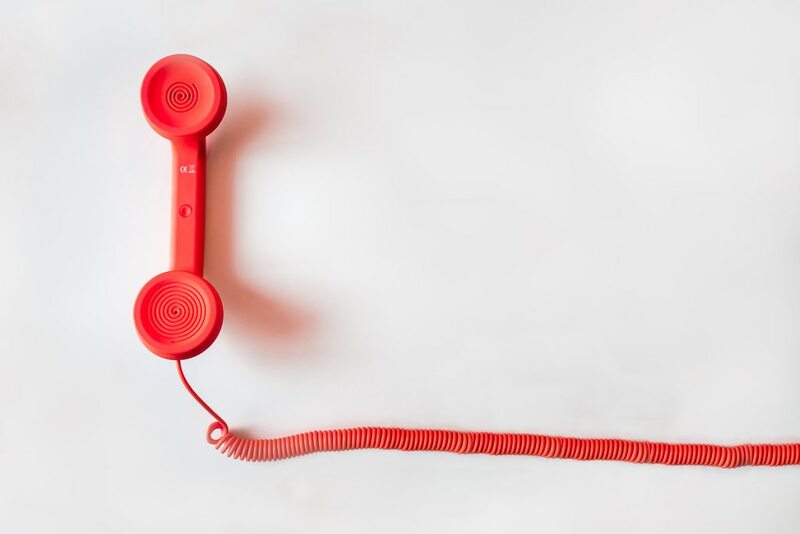 If you include support for a limited time, you could also differ the support options and limit support by channel, response time and what time of the day or week you’ll be available. You can even restrict the response time based on issue type, ranging from severe (“site is down”) to security (patching vulnerabilities) to improvements (adding a button to the main menu bar). When making a tiered offer with options, there are some rules you should keep in mind. When you create the options, make sure you describe the features in terms of the gain generated or pain relieved. In other words, focus on the problem you’re solving for the client. Do not specify them in technical terms unless the client has asked for a specific technology or feature. Use the lists you created earlier to come up with ways to express it so that the client understands why they’re valuable. Ask others to read your price page before you send it to the client. It’s a great way to catch misspelled words or sentences that are hard to understand. The idea here is to reduce friction and making the document as convincing as possible. This is called “pricing the client” since this price will differ from client to client. When using this method to price a tender or quote, use the insights you gained from talking to your client earlier to understand what the price could be. This might feel very difficult at first. Doing some research and “mystery shopping” (pretend to be a potential client asking for a quote) at other agencies might help. You’ll get better at this over time. A starting point is to consider what the client hopes to accomplish in terms of revenue and profit over time by purchasing your services. This also means that you need to present the quote in such a way that you can emphasize and visualize the value. Ideally in a meeting. I’ll dig more into that in future posts. DON’T: Calculate the number of hours it took last time to build the same features and multiply by your usual hourly rate, then add 20% as a safety margin. DO: Put yourself in the buyer’s shoes and try to estimate the total value of what you’re offering given their challenges, the costs they have and the price of alternative solutions. Remember, not doing anything at all is also an option. There’s a lot more to be said about tiers and options, and we have barely scratched the surface so far. There’s more content coming up on this blog about pricing based on value. Sign up for the newsletter and stay tuned to make sure you don’t miss any of it. Value-based pricing is less difficult than many imagine but requires taking an authentic interest in your client’s problems and challenges. It demands asking and listening to clients and paying attention. It takes time, but it’s well worth the work. I’ll be returning to the subject of pricing in the future and explain the theory behind all this. It’s a fascinating yet often overlooked topic that I’d love to introduce you to. If you like this post and want to learn more about price and value-based pricing, make sure you sign up for our newsletter to get the upcoming posts in which we explore these methods deeper. 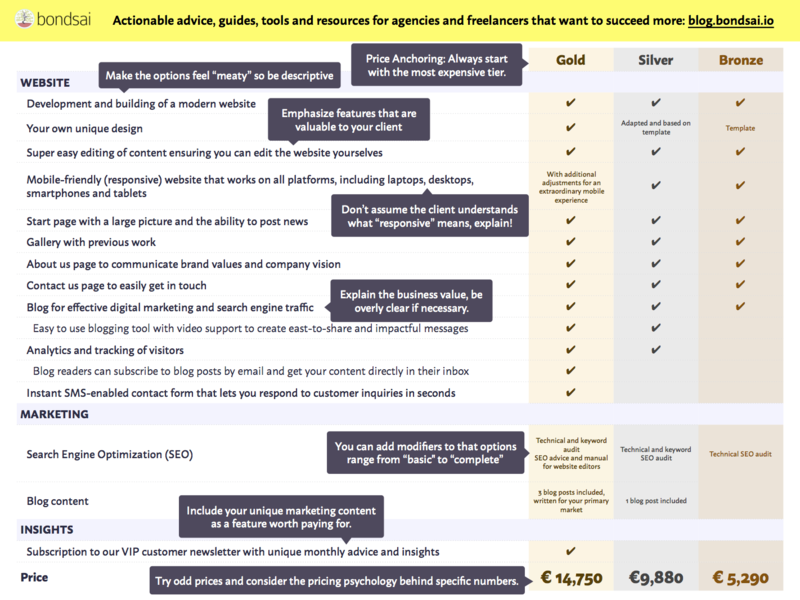 Also, read our in-depth guide to tiered pricing, if you haven’t already. What are your biggest challenges in implementing value-based pricing? Please post them below. I read every comment and answer all and any questions you might have.